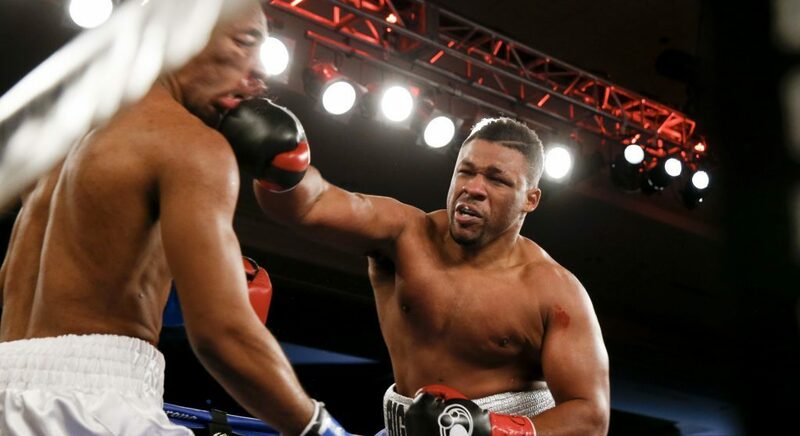 With a win this Saturday against Bogdan Dinu, Jarrell Miller is looking to position himself closer to a world title shot. With Deontay Wilder and Anthony Joshua engaged in a negotiation that is similar to a game of 3D Chess, Miller knows he has to look elsewhere for a major opponent to start the next year. The New York native instead looks towards the O2 Arena and December 22nd’s anticipated showdown between Dereck Chisora and Dillian Whyte. The 2016 rematch interests Miller, who is unable to predict who walks out with the victory. “I don’t know. Personally, I don’t know. Chisora is coming off of a good win and he seems real motivated, so we will see. Both of their styles are very on and off. One day they are real hot and one day they are real cold, so I don’t know,” Miller explained. “Most definitely. I am known for killing cockroaches so anytime they are ready I am dropping a bomb on them,” Miller stated. No matter what comes next, Miller is keeping his eyes towards Dinu and remaining unbeaten. “There are a lot of opportunities out there, but I have to take care of what is in front of me first and that starts on November 17th,” Miller explains.